Playing before a national audience that spanned from coast-to-coast, in front of the ESPN cameras under the white-hot spotlight of elimination action against a gifted opponent, South Beaverton made its district, its city and its state proud. ODF made it to Monday, to the Little League Softball World Series bracket and the big stage against Team East (Newark, Delaware). Delaware entered the game as Pool B's second seed and lived up to the hype by breaking a 1-1 tie with four runs in the top half of the second to go up 5-1. Team East added six more runs over the next four innings and advanced to the LLSWS semifinals with an 11-2 win over ODF at Alpenrose Stadium. Unfortunately for ODF, there would be no shot at an LLSWS title, which would've been Oregon's first since 1988. Still, there was no quitting, no break off from the pack as the game got away against Team East. ODF stayed unified throughout, cheering each other on in the dugout, encouraging one another between innings. "I was really pumped when we got out there," ODF catcher Lizzy Bradford said. "I think we never stopped being pumped. We did really well all week. There were some things we could've done better on, but I think we fixed that throughout the week." Rather than splinter, South Beaverton stayed together against Team East. They came to Alpenrose already accomplished and decorated having won the ODF district crown. Head coach Brenda Peterson's three-year-long dream in the making was fulfilled two weeks ago just by reaching the LLWS. Everything else was icing on the cake. And with another sizable crowd on hand to take in the first bracket game, South Beaverton again proved it belonged with the best. Despite the early morning start time, the Alpenrose stands were crammed with family members from both squads, creating a festive, fun and high-intensity aura around the stadium. "The atmosphere was wild," Brenda Peterson said with a smile. "There were so many people from the community watching us and we're so appreciative of their support. The girls knew the cameras were here, but they didn't talk about it. I don't think it really impacted their play. They were ready to go and excited to play." The LLSWS has swallowed many programs whole both with its talented field and the high stakes. But the stress wasn't too much for Oregon District Four. On the contrary, ODF was the kind of tough out that made its Pool A grind for every out and each base hit. They reached bracket play with self-possession and execution, knocking off two international opponents in Latin American and Asia-Pacific who were much better than anticipated. And though the United States' programs were first-rate, ODF fit the bill. The standouts were ample. 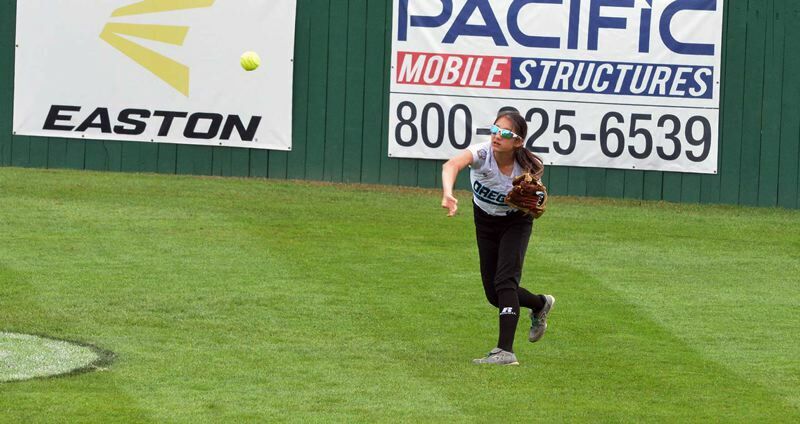 Third baseman Chloe Arbow was a vacuum at the hot corner, as was shortstop Ashely Goodale, second baseman Kendall Stout and first baseman Hailey Stutzman, all of whom flashed their plus gloves and played polished defense. Amanda Peterson shouldered the load in the circle and threw a gem shutout against Asia-Pacific. Erica Eidson starred as a hitter and a spot pitcher against Latin America. Bradford was a constant source of production and a steady bat in the order. Allison Olivo, Elli Higginbotham, Mya Esuk, Rachel Powers and Alaina Baseleon each played a pivotal role in ODF's success, just as head coach Brenda Peterson predicted. "We worked our hardest," starting pitcher Amanda Peterson said. "We had a tough first game (against Waco) that set us back a little bit, but we kept pushing forward. We won two games, so that was pretty cool. I'm proud of that." Looking at the big picture, ODF spun its program forward. After playing on ESPN2 and getting that type of national exposure that comes with being interviewed and discussed by some of softball's top commentators such as Michelle Smith and Holly Rowe, ODF will be the talk of the local softball scene through next spring. There's a positive buzz about South Beaverton, both about the present and the future. "I believe our team has built a lot of excitement for the younger girls," Brenda Peterson said. 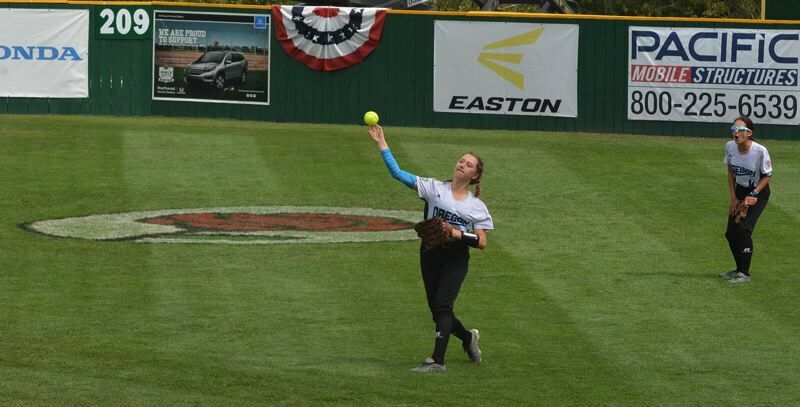 "We have nearly 300 girls in South Beaverton Little League, including our team. The AAA and AA teams, the nine and 10-year-old girls that are out there cannot wait to be (at Alpenrose) as well. We're going to give back to the community that has supported us." Trailing 1-0 in the bottom of the first against Team East, Goodale walked on four pitches and Stout put down a sacrifice bunt to move her over a bag. As Delaware threw to first to nab Stout, Goodale rounded second and collided slightly with the Delaware shortstop who was standing just inside the bag and ran to third where she was thrown out trying to take the extra bag. 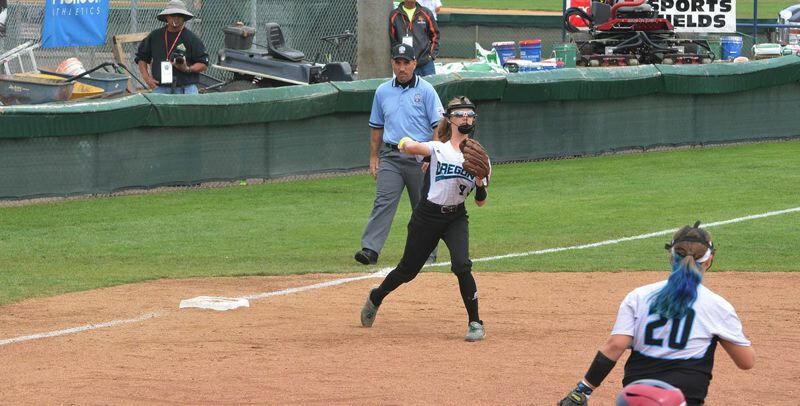 However, Goodale popped up immediately and alerted third base coach Mark Olivo that she had been interfered with on her path from second to third. Olivo argued his case to the umpires and won the appeal, which meant Goodale was able to walk back to third with one out. Bradford capitalized on the scoring chance, lifting a sacrifice fly into foul territory to tie the game at 1-1. Yet, Team East answered immediately with four runs in the second stanza and three more in the fourth to go up 8-1. In the second there was an error, scoring two runs, Hannah Navarro laid down a sacrifice bunt, scoring one run, and Mikayla Walsh doubled off of Amanda Peterson, driving in one run. Team East collected 15 hits. Sara Ann Sobocinski, Kylie Saienni and Walsh each collected multiple hits for Team East. "The better teams are good and we did our best to compete as much as we could," Brenda Peterson said. "Take away a few errors and we're in it." In the bottom of the sixth Bradford and Peterson reached on consecutive infield singles and Arbow walked to load the bases. Eidson added another run with a fielder's choice groundout to make it 11-2. "I'm really glad our team kept going even when we were down," Amanda Peterson said. "We all have good team spirit and it definitely helps when your team is behind you. It's been cool to see where we stand in the world, to be able to play teams from all over and fight for a spot to be here." ODF became friends with Asia-Pacific (Bacolod, Philippines) and Team Europe (Prasha, Czech Republic on the second day of the LLSWS. South Beaverton came to Alpenrose on their scheduled off day cheered on the Czech squad as they fought to stay alive in pool play. All 10 teams stayed in the same hotel in downtown Portland. Every program's coaching staff intermingled with the umpires on Sunday night at a social event. And after ODF's defeat to Team East, Brenda Peterson hugged Delaware skipper Rich Trala — one of the many new close acquaintances she and assistant coaches Darin Stout and Mark Olivo made during the week — in the handshake line. As the elimination games continued on Monday and the semifinals unfolded on Tuesday, ODF was front and center taking in the action, cheering on their newfound friends, soaking up some of their last remaining free time before school starts again in a couple of weeks. 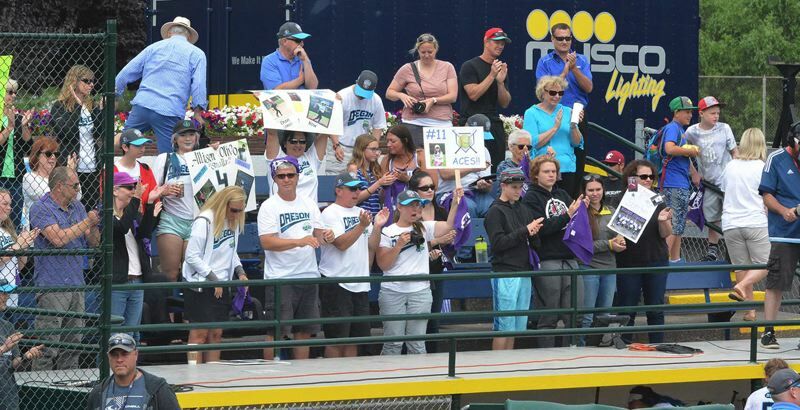 The entire LLSWS experience itself was something to behold, a truly unforgettable week that'll live on in the hearts and minds of the ODF players as they push on in their softball careers. "We built a lifetime of memories," Brenda Peterson said with a smile.